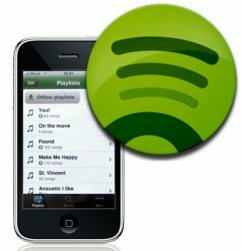 Well, the Spotify iPhone app has been released, it’s finally here after Apple actually approved it (a surprise in itself to some people), but has it been worth the wait? 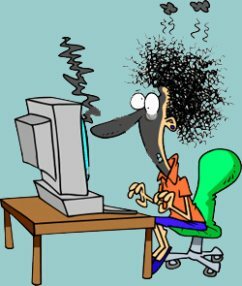 Have you ever considered using an online backup service before? What would you do if your computer died on you? Have you thought about how you’d cope in terms of potentially losing your important files forever? Well I’ve recently got to find out that for myself as one night last week my computer’s power supply died with a loud bang, plunging us into darkness as it knocked off the whole house’s electricity and left me with the definitive smell of dead power supply — definitely not something that I like the smell of in the morning, evening or any other time of day! I bought the Belkin N+ ADSL wireless router as a replacement for the ageing Belkin N1 ADSL modem wireless router which needed replacing as the “quirks” it had been finally proving too much to live with, but rather than talk about that here, I’ll update the original review after I’ve finished this one. 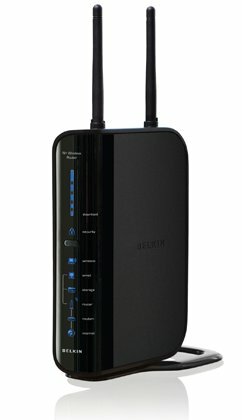 Suffice to say despite my reservations of buying Belkin again, I looked around some of the big well-known review sites and they seemed to like the Belkin N+ with some of them having it as their wireless router of choice. Therefore I thought I’d give them another chance. Well I did wonder just how long it would take the for the new Legend of Zelda game concept art to released or be make it’s way out onto the Internet by other means and it would appear that the answer is not long at all! First of all, I have to say that I think it’s great that Channel 5 TV programme, The Gadget Show has such a following and a large number of viewers that a Gadget Show Live event like this was first planned and then very quickly sold out by the fans of the show — I think that says a lot about a large of people in the UK being quite tech-savvy and enjoying all types of gadgets that are out there. This was the first event that I’d attended of its type on behalf of Zath and was quite excited to see what was on the show floor to the visitors of this event after seeing so many great shows on TV that take place in America, Japan etc. Are Pay As You Go SIM Cards For Your Mobile Phone The Best Option? A few people have recently asked me about free SIM cards on Pay As You Go (PAYG) for mobile phones, so I thought I should perhaps provide an explanation of why I think this is a good thing to look at doing and the different mobile network options on offer. Given the current economic climate, everyone is trying to save money wherever they can and I know from experience as when I was coming towards the end of my current mobile phone contract, I didn’t really want to commit to yet another 18 or 24 month contract, especially when I don’t use all the included minutes and text messages that I’m paying for now.